Here is a short video about my collecting over the years. We won an IPPY award! 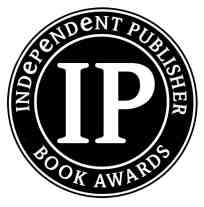 This year over 5,000 authors submitted their books to The Independent Publisher Book Awards. 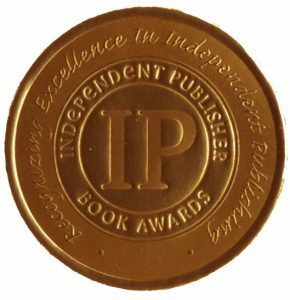 ‘Agates The Pat McMahan Collection’ received a bronze medal (3rd place) in the science category, which is fairly unheard of for such a “niche” book/topic. There was fierce competition and we are very proud of this award! Check out my book teaser slideshow! This website contains some of my finest agates. Within this site you will see agates from many worldwide agate deposits. They may be viewed HERE. I have categorized and photographed them so you can enjoy and learn at your leisure. This resource will continue to be a work in process. I hope you enjoy browsing these agates – I sure enjoyed collecting, cutting and polishing them. You may click all the agate photos to enlarge them. My goal is to share my passion and experience with all collectors and prospective collectors and increase interest and awareness of quality agate, especially sagenite and plume agate. Most of the agates within this site were hand collected in the field in recent years. For a list of different types of agate inclusions, click HERE. Rockhounding as a hobby is facing new challenges. Despite recent regulations, rockhounds today still have tremendous rock collecting opportunities. Old time rockhounds often say everything has been picked up. But those who dig, agree that many rare and beautiful agates lay just below the surface. This is the case with countless rocks and minerals. Rain and wind constantly reveal these treasures. Digging will uncover more. I commonly bring a shovel and a pick when I go rock collecting. Most agates are associated with igneous rocks; Primarily andesite, rhyolite and basalt. Fine dryhead agates, Teepee Canyon agates and other agates are found with sedimentary rocks. Agates with inclusions are the focus here although some fine banded Laguna agates, Coyamito agates, Condor agates, other banded agates, fine jaspers and a few other lapidary materials with inclusions are shown. The most common agates with inclusions are moss agate, plume agate, sagenite agate and dendritic agate. Primarily, I cut specimens which are suited for display cases. Cabochon gemstones are a by-product as I slice rough rocks to reveal a full pattern. With a little luck I produce specimens free of fractures. Smaller complete patterns show up in these slices and make excellent gemstones for agate jewelry and when they are larger, display pieces. These gemstones are generally viewed as the refined treasure trove of rock collecting. Polished and artfully cut agates that reveal the wonderful inclusion patterns can produce gemstones that are the most unique and beautiful in the world. Agate jewelry, because of this unique beauty, is highly prized. None of the rock specimens in the gallery are currently for sale as they are part of my rock collection. However, similar material is often available for sale or trade. I am very interested in buying or trading individual specimens or complete rock collections. Here’s a video, produced by Verde Valley TV.